Woot, Woot! Look at this! A post that is not for a blog hop! Ha ha! I know, I know. I should post more often, but when it comes to my list of priorities... my blog is not exactly at the top... Obviously, when there's a blog hop or an obligation, (where other people are depending on me), then of course it's a priority. but if it's between posting or putting a class together or getting some sleep, or playing with my boys, then unfortunately it gets skipped. Over and over again. For my Coffee & Create class I'm showcasing the stamp set: Tin of Tags. I want to show my customers that this stamp set is NOT just for the Tin of Tags Kit, that you can create with it, out and beyond the tag kit. My colour combo today is Real Red, Garden Green, Very Vanilla and Gold. 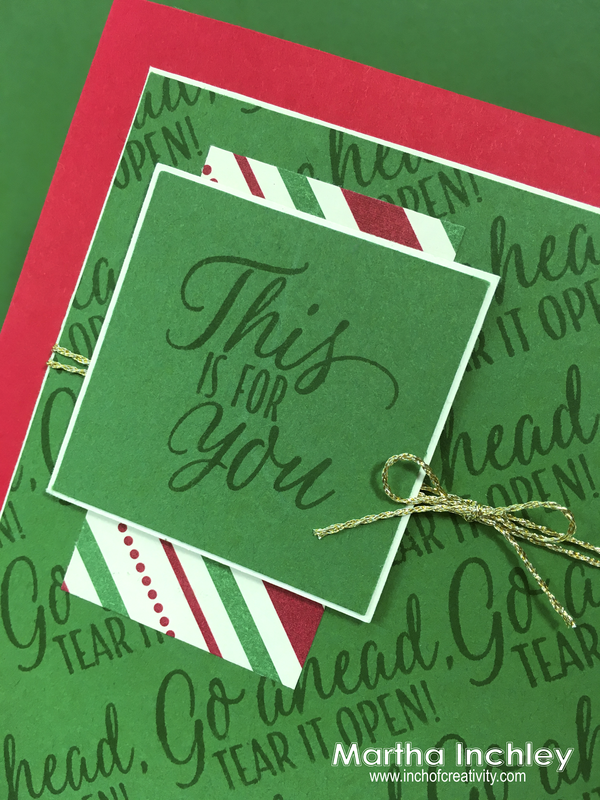 This colour combo screams Christmas and I could almost envision Santa leaving these cards with his presents. The little bit of DSP paper that I used, is from the Designer Series Paper Pack: This Christmas. To finish off my card, I added some Gold Baker's Twine and tied it into a little bow. It just makes it feel magical. Well, Thanks for stopping in. I hop you enjoyed my take on this sketch and make sure to check out the Global Design Project for more inspirations! Happy creating! 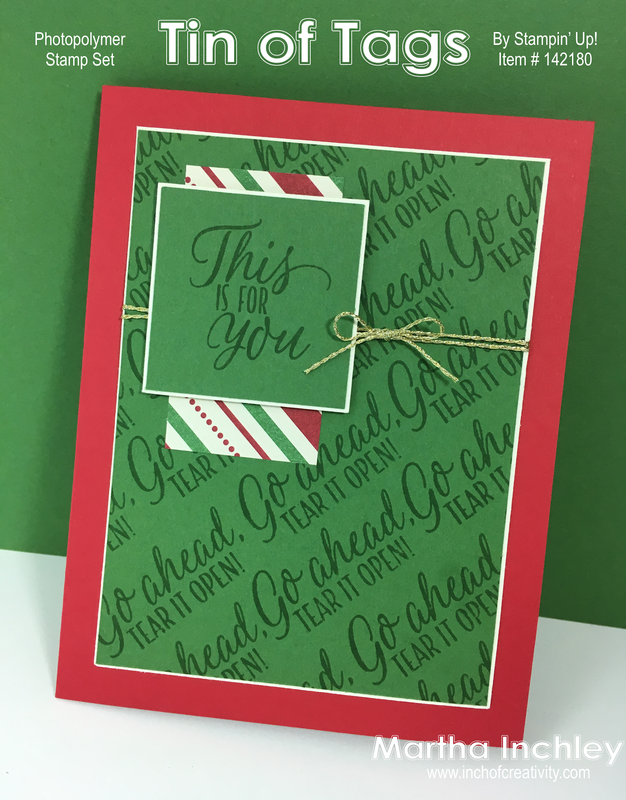 Love how you used the stamp to create the background! I adore your repeat stamped background. That is a technique I use myself quite often. I love how you shifted the focal design to the top of the card too. 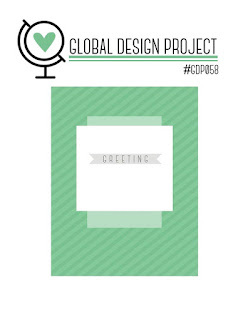 Thanks so much for playing at Global Design Project with us this week.